Real Detroit Weekly has just come out with its “Best of Detroit” list and one of my favorite area restaurants made the cut! 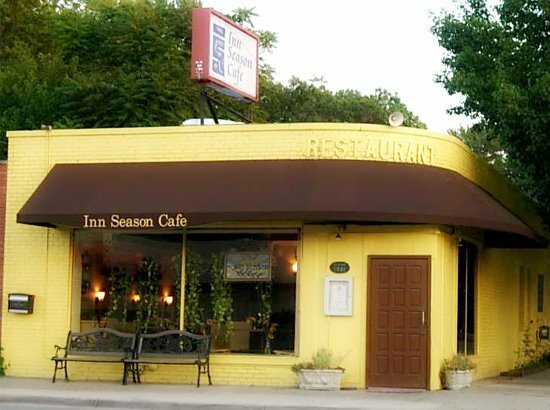 Even if you enjoy a good old steak now and again, the Inn Season vegetarian restaurant will make you forget that your meal is lacking in the animal department. All of their food is made from organic, locally grown ingredients and the menu options vary depending on what’s in season, so you know your guaranteed freshness. From salads to pizza to pasta, you’ll find something to satisfy your hunger whether you’re a herbivore, carnivore or anything in between. I agree with all of the above. Due to a very generous Christmas gift certificate, Daniel and I ate there about two or three times over the course of a week or two. or soy cheese. Garnished with house-made ancho chile salsa, sautéed onions, tomatoes, green pepper,black olives and organic brown rice. sauce and cheese or soy cheese. They’ve also got great stir-fries, four different types of burgers, gorgeous salads (love their house dressing), and a Sunday brunch menu that includes house granola, multigrain pancakes and all kinds of vegan and veggie goodness. There are so many things on their menu I hope to try for brunch, lunch, dinner, desserts everything. Even if you’re a meat eater, you will love this place. Everything tastes so flavorful and the place just has a good vibe (yes, I sound like a hippie, but it’s true). Trader Joe's Black Bean and Corn Enchiladas	Sugar Kisses is back! Geez Kirsten…..now we have to drive to Detroit because both of your "favorites" sound fantastic – exactly what Harv and I like!!! !